The Chai-Set, designed by Mahsa Haddad, is a delicate tea set indeed. The set has a simplistic design that allows you to create your own tea ceremony. 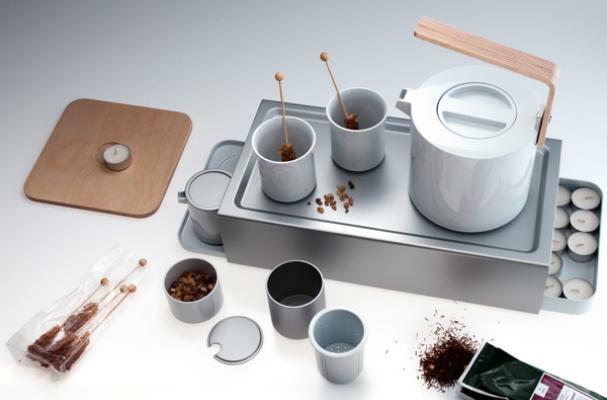 It includes a stainless steel tray that is also a warming platform and storage for the tea strainer, cups, a sugar bowl, a milk jug and a ceramic container. For another elegant tea set, check out the 30-cup family tea set.